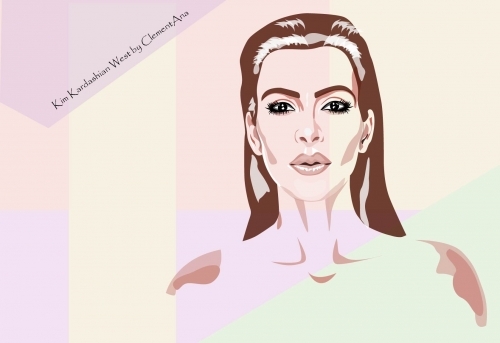 Hi guys, juts finalized my illustration of gorgeous Kim Kardashian West and want to share with you. This is a vector illustration and I'm planning to create a set of similar illustrations of popular celebrities. Let me know what do you think about this illustration. Comments and suggestions are welcome !